“I told my guys after the [Virginia] game, we got eight games left and our season will be determined by what we do in those eight games,” said Boeheim. 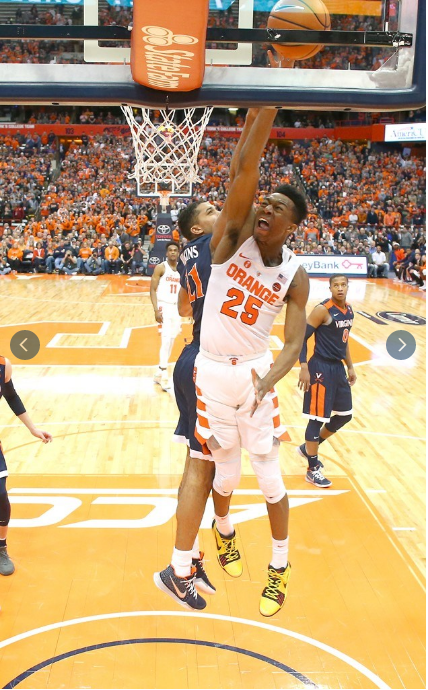 With seven games to go, the Orange are on the bubble in Cardiac ‘Cuse fashion. Prior to today’s contest, ESPN bracketologist Joe Lunardi has Syracuse among his first four teams out. For Syracuse to pull off the victory, the guards need to lead the way. 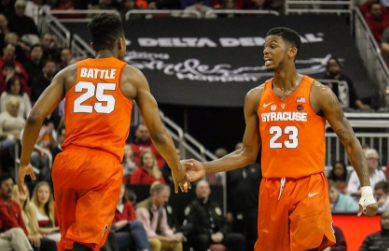 In the win over Louisville, #25 Tyus Battle put up 25 points and Frank Howard added 22 of his own. 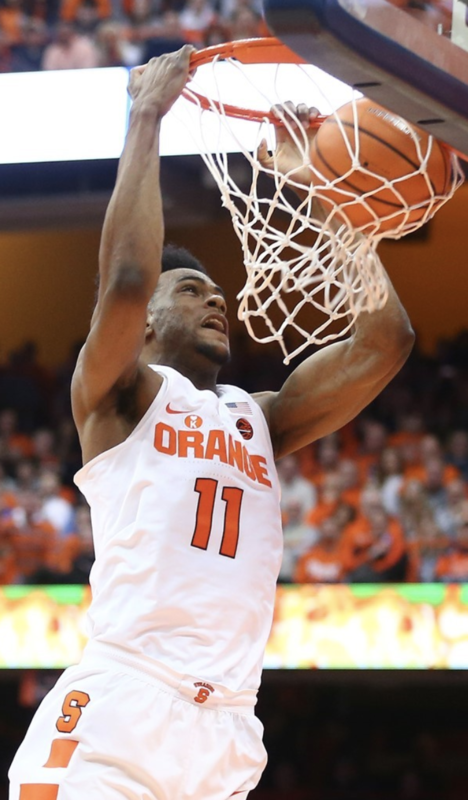 On the glass, Oshae Brissett has led the Orange with nine rebounds per game. Brissett, along with center Pascal Chukwu, need to step up after being outrebounded 38-29 in the last meeting between these two teams. Syracuse vs. Wake Forest begins at 1. Our coverage starts with Countdown To Tip-off at 12:30, right here on the original home of the Orange, WAER. Wake Forest, coached by former Kansas star Danny Manning, will be relying on two junior guards, Bryant Crawford and Keyshawn Woods. After current Atlanta Hawk John Collins was drafted, Crawford has exceeded and failed to meet expectations in his new leadership role. He leads the Demon Deacons in points (16.3 ppg) and assists (4.9 apg). But, Crawford has regressed in turnovers and shooting percentage, reverting to totals similar to that of his freshman year. Woods has become the number two scorer on the Wake Forest squad, despite being the sixth man on the team. He is part of a bench that is averaging 24.7 points per game off the bench this season, Wake Forest’s highest bench production since 2000. Our coverage of today’s game begins at 12:30 with Countdown to Tip-off, followed by the game at 1, right here on WAER. If Jim Boeheim is looking for any positive takeaways on the court, he will have a hard time finding one. Despite the biggest crowd this season in all of college basketball, the 27,083 attendees could not push Syracuse (15-8, 4-6) past second-ranked Virginia (22-1, 11-0). Coming off a disappointing 55-51 loss to Georgia Tech, Syracuse knew the path to the big dance was narrowing. The first team in their way was the red-hot Virginia Cavaliers. With the top-ranked defense in the country, the Cavaliers managed to reel off 13 straight wins and had yet to lose an ACC contest. Syracuse (15-8, 4-6) will look to rebound after suffering a tough loss to Virginia when they take on the Louisville Cardinals (16-7, 6-4) at the KFC Yum! Center on Monday, February 5 at 7:00 p.m. 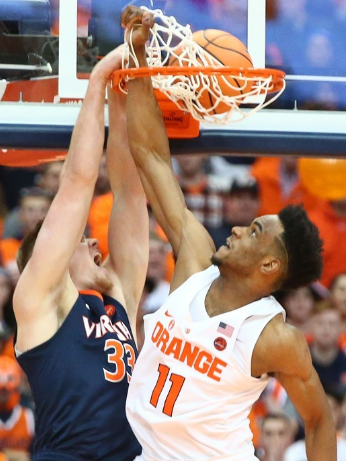 The Cardinals will be looking for their fourth consecutive series win against a struggling Orange team that just recorded their lowest scoring in program history at the Carrier Dome when they could tally only 44 points against Virginia.